Every castle is undefeated… for some while! Alternately: Nigh impervious to assault. Difficult even to attack, much less to actually bring down, like a near-impregnable castle. By extension, a situation where things don’t go as planned, expected, or desired. Notes: Sources suggest that this compound was formed in the Sengoku period, and note wryly that few of the era’s supposedly-invincible castles remained undefeated. 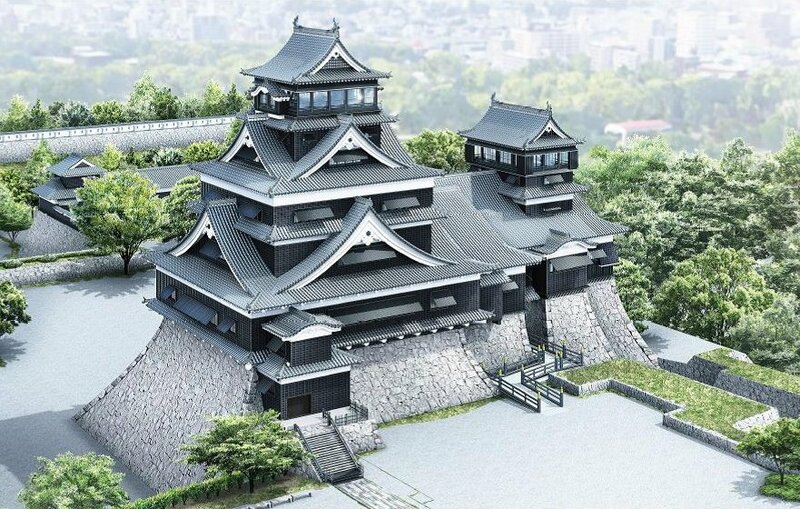 Kumamoto Castle, which bills itself as Japan’s most 難攻不落 fortification. This entry was posted in Japanese, Yojijukugo and tagged 熊本城, difficulties, 難攻, invincible, 戦国時代, 不落. Bookmark the permalink.